As every gentleman knows, a sophisticated appearance opens doors to new opportunities. 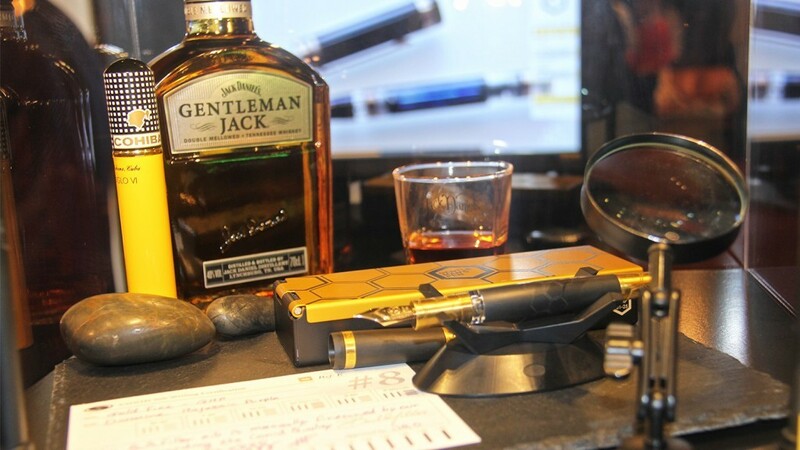 In the light of the Belgian Gentleman’s Fair, an event that unites gentlemen who share a passion for a supreme lifestyle and keeping up to date with ever evolving trends, Conid decided to design a pen that serves as an extension to a gentleman’s dignity, professionalism and masculinity. As the Gentleman’s Pen underlines individuality, this limited edition only counts twenty-five exclusive pieces. Making a bold style statement, one of our youngest Conid family members altered our classic Kingsize model with a highly contemporary matte black finish. 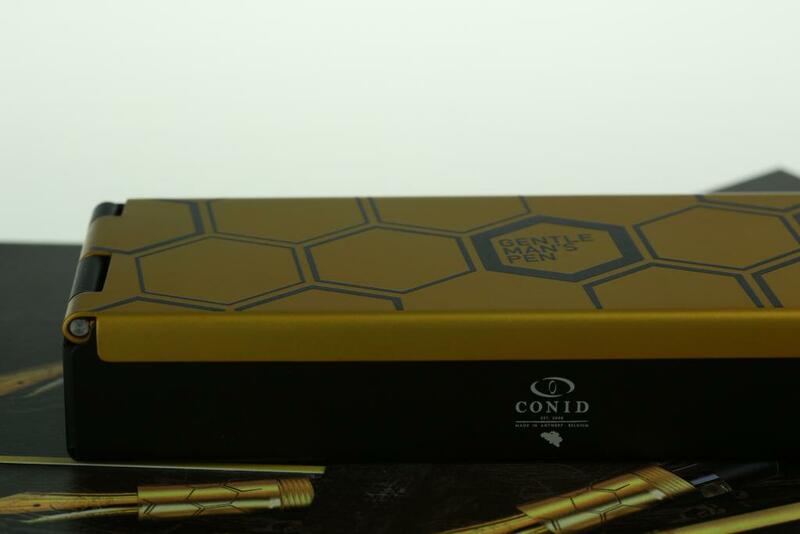 The geometric hexagonal engravings enhance this clean and sleek aesthetic, while the gold coated accents enrich this pen with luxurious refinement, matching a true gentleman. 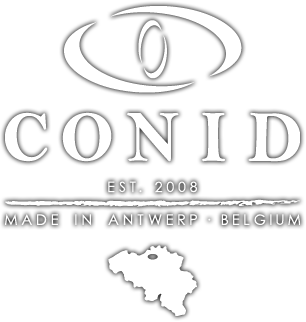 Since many years, Conid understands the importance of investing in those timeless yet exclusive items that last a lifetime. We therefore do not only have an eye for great aesthetics, but also highly value refined materials, high-end quality and precision. Underneath its soft-touch covering, the Gentleman’s Pen is composed of highly durable titanium parts, combining innovative mechanics and detailed handcrafting. 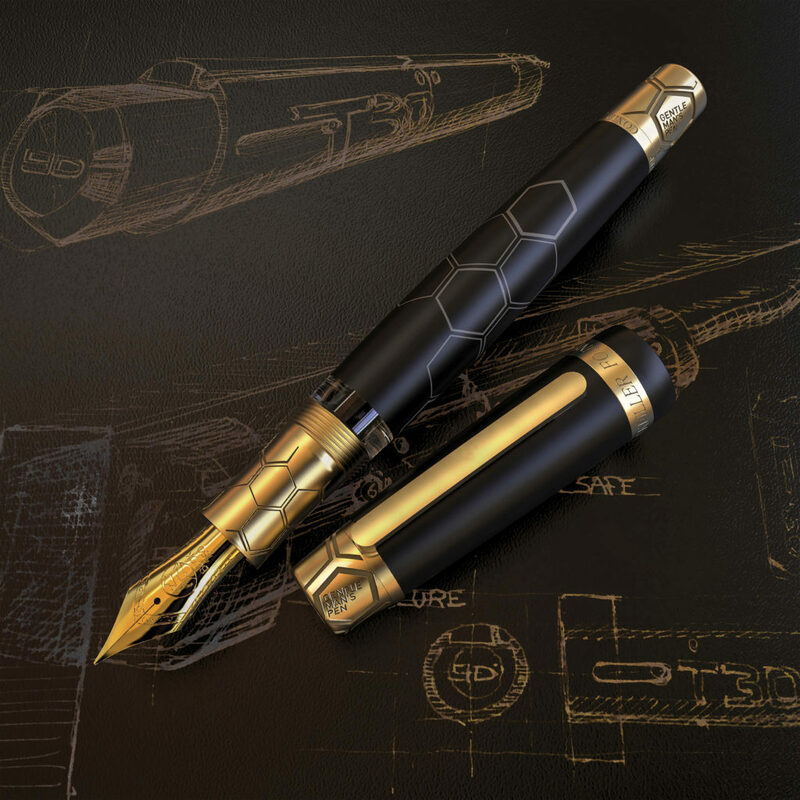 Next to its sumptuous design, the Gentleman’s Pen truly excels in its reliability thanks to our patented Bulkfiller system, contributing to elaborate and eloquent writing sessions. Being a delicate blend of design, functionality and sophistication, this pen belongs to those who have a keen understanding of what it means to be a gentleman in this day and age. Apart from its extraordinary look, the Gentleman’s Pen is entirely based on our Kingsize model. Thanks to our innovative Bulkfiller system this pen can take up to 3 ml of ink, thoroughly supporting sessions of extensive writing. All metal components are made of high quality titanium with a gold satin finish. 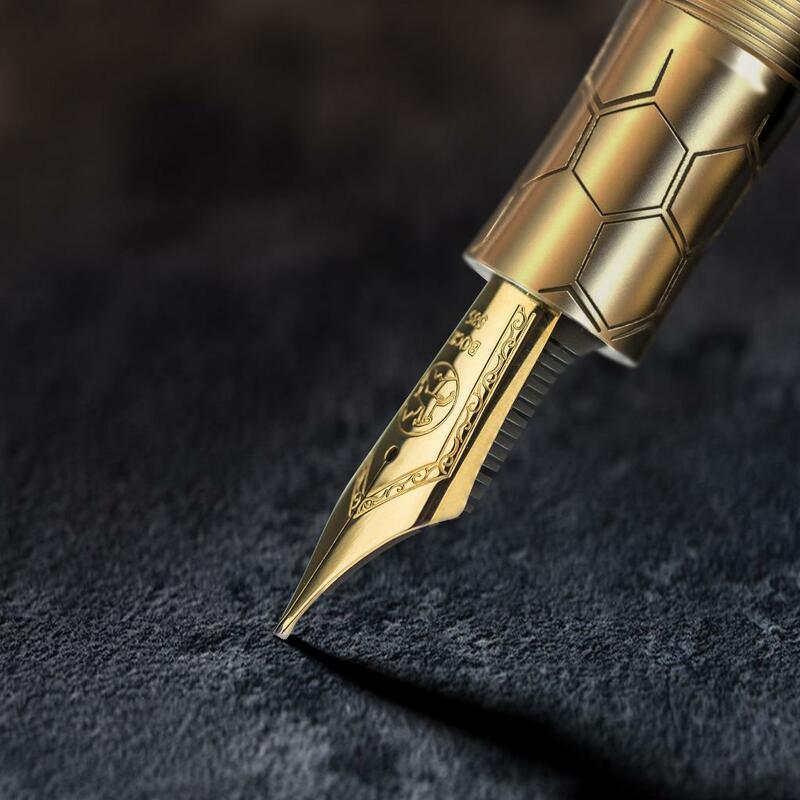 Carefully hidden underneath the flat top however, a 14 K gold pen nib guarantees ultimate ease and finesse while writing. Every single nib is personalised and accustomed to fit the unique needs of every gentleman owning this magnificent pen.